Goldman Sachs Group Inc should follow up on its apology to Malaysia with a payment of US$7.5bil (RM30.86bil), says Lim Guan Eng. The Finance Minister said a mere apology from the investment bank over the scandal-ridden 1Malaysia Development Bhd (1MDB) is not enough, unless they pay reparations and compensation. Lim said Goldman Sachs should understand the agony and trauma suffered by Malaysians as a result of the scandal. “An apology is not enough. “An apology with US$7.5bil is what matters. “At least he (Goldman Sachs CEO David Solomon) accepted that they have to bear and shoulder some responsibility but that is insufficient. 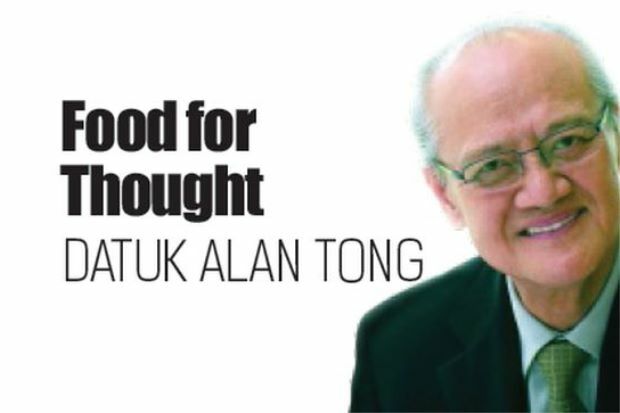 “They have made provisions of around US$561mil (RM2.3bil) but that is not adequate. “We are seeking US$7.5bil,” he told a press conference here yesterday after announcing the names of the joint lead arrangers for the Samurai bond. On Thursday, Solomon apologised to Malaysians for former banker Tim Leissner’s role in 1MDB. Solomon also said it was very clear that Malaysians were defrau­ded by many individuals, including the highest members of the previous administration. Asked if Malaysia would drop charges against Goldman Sachs with the US$7.5bil payment, Lim quipped: “US$7.5bil … then we can discuss lah”. Lim added that it was very clear who the top government official Solomon was referring to as there could only be one person. “You worked hand in hand, and there has to be accountability. It also involved a breach in fiduciary duty, and I think the banking industry has this obligation to make good the losses that we suffered. “I think this is at least an admission. “If not for the change of government, do you think Goldman will apologise? We’re dealing with the largest investment bank in the world,” he said. Lim added that he found it distressing that Datuk Seri Najib Tun Razak still refused to admit there was something wrong with 1MDB and the entire exercise. He also lambasted the former premier for passing the buck to Goldman Sachs, and for being in a state of denial for refusing to admit that Malaysians suffered huge losses due to the scandal. 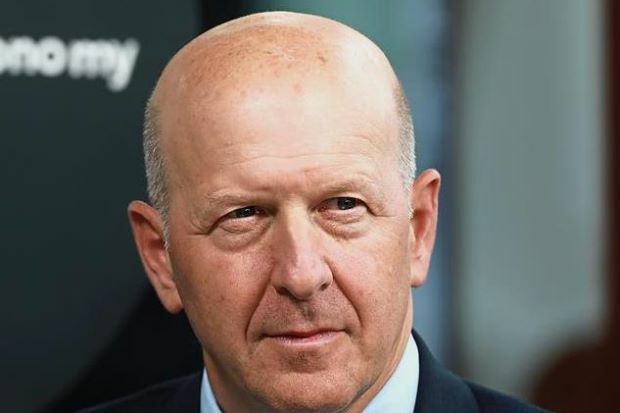 NEW YORK: Goldman Sachs Group Inc chief executive officer David Solomon (pic) has apologised to the Malaysian people for former ban­ker Tim Leissner’s role in 1Malaysia Development Bhd (1MDB) scandal, but said the bank had conducted due diligence before every transaction. Goldman is being investigated by Malaysian authorities and the US Department of Justice (DOJ) for its role as underwriter and arranger of three bond sales that raised US$6.5bil (RM26.7bil) for the sovereign wealth fund. “It’s very clear that the people of Malaysia were defrauded by many individuals, including the highest members of the prior government,” Solomon said on conference call discussing the bank’s fourth-quarter results in a report by Reuters. Solomon said Leissner denied the involvement of any of Goldman’s intermediaries in transactions with 1MDB. The DOJ has said that US$4.5bil (RM18.5bil) was allegedly misappropriated by high-level officials of the fund and their associates between 2009 and 2014. As part of Goldman’s due diligence efforts, Solomon said the bank sought and received written assurances from 1MDB and International Petroleum Investment Co (IPIC) that no third parties were involved in the first two bond sales. Abu Dhabi’s IPIC had co-guaranteed the 1MDB bonds when they were issued in 2012. 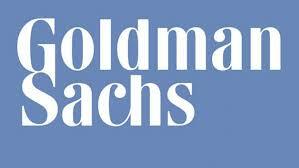 “All these representations to Goldman Sachs have proven to be false,” Solomon said. Goldman Sachs did not disclose any other information about its involvement with 1MDB, but said the impact on its client franchise had been de minimis. Shares of the bank, which reported strong fourth-quarter results earlier in the day, have fallen over 25% in the last three months, after headlines about its involvement with the sovereign wealth fund emerged. In an immediate reaction yesterday, former Prime Minister Datuk Seri Najib Tun Razak said Goldman Sachs had to take responsibility because they were appointed and paid by 1MDB to take care of Malaysian’s interests. “We put up a system, the system was there to take care of our interests, you see. 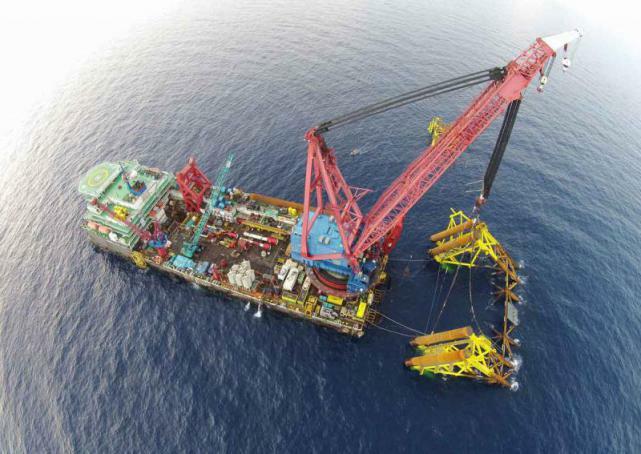 SINGAPORE – Singapore oil field services firm Swiber Holdings Ltd filed an application to wind up the company and said a Singapore court had appointed provisional liquidators, making it the biggest local name to fall victim to the slump in oil prices. Local oilfield services companies have been burdened by weak oil prices, which have strained their liquidity, with charter rates tumbling and clients either delaying or cancelling projects. “If highly leveraged offshore and marine companies are unable to raise capital from equity markets, then they will be left with very little other options other than to file for liquidation or for judicial management,” said Joel Ng, an analyst at KGI Fraser Securities. Swiber’s longest dated bond due 2018 started falling sharply in mid-March. The provisional liquidators of the company, which has a market value of S$50 million, have asked for trading in Swiber’s shares to be suspended. The High Court of Singapore appointed KordaMentha Pte Ltd’s Cameron Lindsay Duncan and Muk Siew Peng as the joint and several provisional liquidators of the company. SINGAPORE: Two of Singapore’s top banks flagged mounting concerns about loans to the oil and gas sector, on the same day that a prominent local oilfield services firm announced it was winding up, under the weight of crushing debt. The dour outlook from Oversea-Chinese Banking Corp and United Overseas Bank, Singapore’s second- and third-largest lenders by assets, respectively, came as Swiber Holdings said it had filed for liquidation, making it the biggest local name to fall victim to the slump in oil prices. OCBC and UOB, along with Singapore’s No.1 lender DBS Group Holdings, have long maintained prudent lending standards and adequate capital levels to become some of the safest banks in the world. But oil’s 60% slump over the past two years is beginning to impact them, as the lenders’ main activity is centred on South-East Asia, a region for which oil and gas is a key industry. Banks are being hit by both poor demand for loans from the sector and by more loans turning sour. 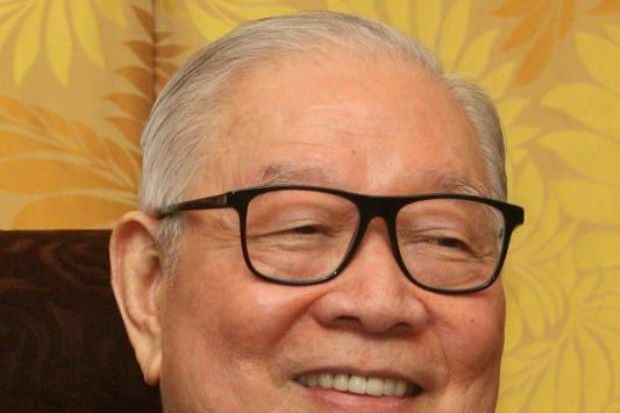 “The loan demand is very weak,” OCBC CEO Samuel Tsien told a quarterly earnings briefing, adding that the oil and gas services sector continues to be under pressure. “Our distressed indicators for this portfolio continue to deepen, but have not broadened,” Tsien said. Over the next year-and-a-half, bonds totalling nearly S$1.2bil (US$881mil) from energy and offshore marine issuers in Singapore will mature, with S$615mil due just over the next five months, according to IFR, a Thomson Reuters publication. 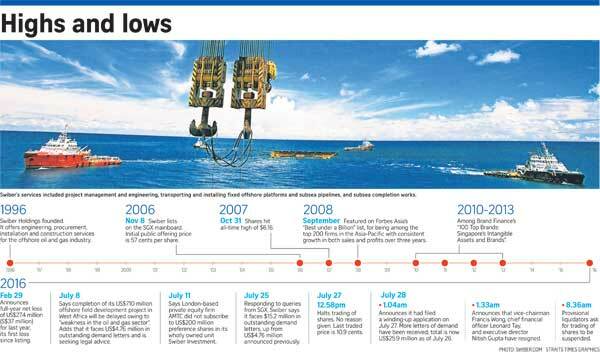 OCBC’s total oil and gas exposure was S$12.6bil (US$9.32bil), nearly half of which to the offshore oil services segment. OCBC posted a 15% drop in quarterly profit, hit by lower insurance income, though UOB surprised with a 5.1% jump in earnings on higher trading income. However, net interest income was weak at both banks, which also saw bad-debt provisions climb. 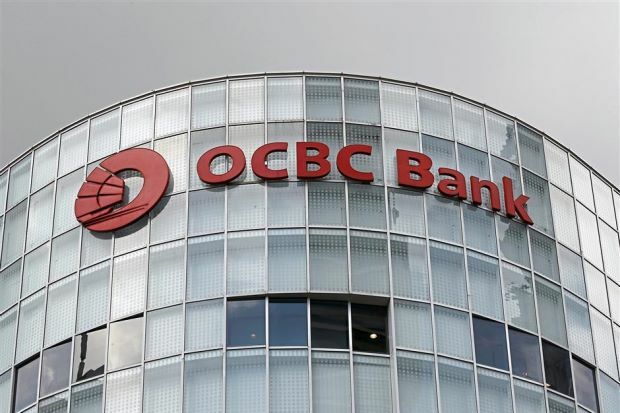 OCBC said its customer loans contracted 2% from a year ago due to lower trade loans and reduced offshore borrowings of Chinese companies due to more favourable onshore borrowing rates in China. Rightways: Will shale oil survive the price fall? Mar 5, 2016 … Rail cars and oil tankers sit on railway tracks as water vapour and …… in far better shape than many smaller independent oil and gas producers. A BUZZWORD growing in popularity in the financial world today is “fintech”, short for financial technology, which in a nutshell refers to the use of technology to deliver faster and cheaper financial services. Going by some predications, fintech could take a big chunk of business away from traditional banks as it is being run by smaller more nimble start-ups. But the debate is still out there as to how much that chunk will be. In Malaysia in particular, fintech’s presence is still nascent and small. Fintech transactions totalled a mere US$6.37mil this year compared with a global figure of US$769.3bil, according to Statista, an online statistics provider. It however predicts that fintech transaction values to grow to US$14.4bil by 2020. A significant number of fintech companies, especially those in the digital payments space, actually work alongside local banks. Still, fintech is not to be taken lightly. Top bankers themselves are speaking of its imminent threat to their business. Former Barclays CEO Anthony Jenkins referred to it as banking’s “Uber moment” to describe technological advances that could see bank branches close down and people laid off. Last April, Jamie Dimon the CEO of the US’ largest bank JP Morgan in his letter to shareholders warned that “Silicon Valley is coming.” “There are hundreds of start-ups with a lot of brains and money working on various alternatives to traditional banking,” Dimon wrote. On the home front, just last month prominent banker Datuk Seri Nazir Razak echoed such views. Speaking at the Star Media Group’s PowerTalk: Business Series held at Menara Star, Nazir opined that fintech companies are disrupting banking. Even the central bank is echoing these views. In his maiden keynote address at an Islamic finance conference in Kuala Lumpur last week, Malaysia’s newly-appointed Bank Negara governor Datuk Muhammad Ibrahim gave a grim reminder to banks of the threats posed by fintech. 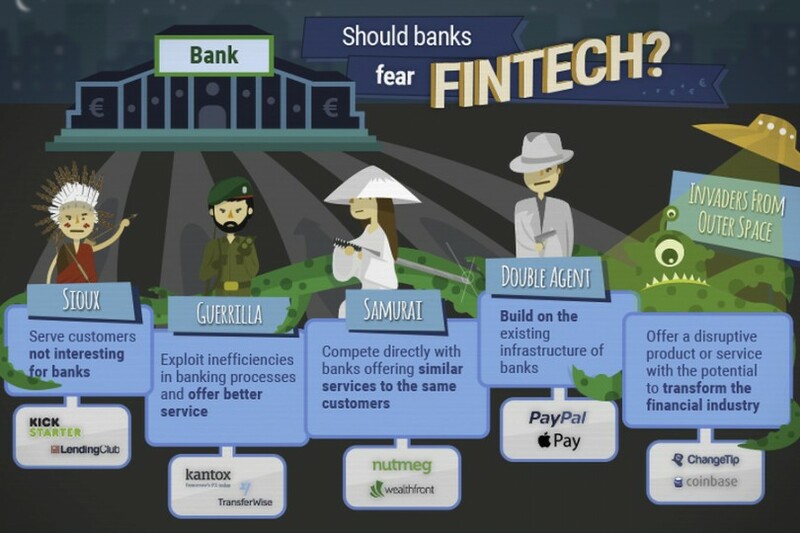 In particular, Muhammad quoted from a report by McKinsey that 10% to 40% of banking revenue is possibly at risk by 2025 due to innovations outside banking institutions that are able to offer a significant pricing advantage and that technologically-driven applications had spread to nearly every segment of the financial sector, with the number of fintech start-ups having doubled in the last year. “Fintech is challenging the status quo of the financial industry,” he said. To be fair, Malaysian banks are quick to point out that while fintech does represent a disruption to business, they are embracing the movement, by coming up with their own fintech innovations or by working with fintech startups. 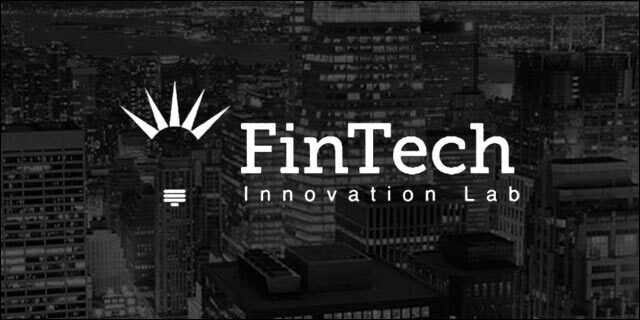 In a nutshell, fintech is an economy of companies using technology to improve efficiencies and effectiveness in the financial services industry. To illustrate the offerings of fintech companies, consider the business model of homegrown start-up MoneyMatch, which is modelled after UK-based TransferWise which began in 2011 and today moves US$10bil a year through its platform. MoneyMatch has created a platform to match individual buyers and sellers of currencies, with the attraction of both sides enjoying better exchange rates than what banks and even money changers offer. The rate used by the MoneyMatch site is the middle rate of the currency exchange spread. So an individual for example, willing to buy US$100 for his travels will be matched with someone wanting to change his US$100 into ringgit. The parties will be matched on this application and then proceed to make their exchange in an agreed location. MoneyMatch is also entering the area of cross border fund transfers. “For example, someone in Singapore wishing to transfer money to Malaysia can be matched with someone here wishing to send an equal amount of money across the Causeway. Hence the parties can make the respective transfers to local accounts of their choice after an exchange of information. This means the transfer is done minus any cross-border transfer fees,” explains MoneyMatch co-founder Naysan Munusamy, who had spent many years as a forex trader with a number of banks before venturing out to start MoneyMatch. One key growth area in fintech is peer to peer or P2P lending, online platforms that match borrowers with lenders, bypassing the traditional financial institutions. The business had even attracted big names such as Goldman Sachs. The most notable name in this space is Lending Club, which had launched its service as far back as 2007 and became the US’ largest technology IPO in 2014, raising around US$1bil. Lending Club claims that its platform – which enables borrowers to get unsecured loans of US$1,000 to US$35,000 – has now helped originate close to US$16bil in loans. Locally, last month the Securities Commission (SC) launched a regulatory framework for P2P lending, paving the way for small and medium-sized companies to access this new avenue of debt funding. Under SC’s rules though, individuals are not allowed to raise money on the local P2P platforms. Rather it is meant to only fund projects and businesses and a number of safeguards are in place. For example, those behind the operator of the P2P platform need to pass the “fit and proper” test; the rate of financing cannot be more than 18% (as that would be deemed predatory lending) and that the P2P operator has to disclose information related to the issuer and the risk assessment and credit scoring parameters adopted by the operator. There is no authorized P2P platform in Malaysia yet as parties wishing to run such platforms have to submit their application to the SC soon. In China, P2P lending has virtually exploded. As a recent report by Citibank highlights, “China is past the tipping point”, with fintech companies having similar number of clients as the major banks. The report notes that China is the largest P2P lender in the world, with transactions topping US$66bil, compared with the US with only US$16.6bil. But there are problems. Some unregulated P2P platforms in China had run scams. Others helped fuel an equity roller-coaster by offering funding for stock investments. This led to the Chinese benchmark index rallying more than 150% in the 12 months to last June before abruptly crashing. The Chinese authorities are now cleaning up the P2P sector. So what are the risks of fintech regulation in Malaysia? And do companies like MoneyMatch need be regulated and licensed? In an emailed reply to StarBizWeek, Bank Negara says: “Fintech start-ups that engage in activities under the purview of the central bank must comply with existing laws”. Bank Negara explains that regulated businesses include banking, insurance or takaful, money changing, remittance, operating a payment system or issuing payment instruments. “A fintech company that engages in any activity that falls within the definition of a regulated business must be properly authorised to do so under the relevant laws. “As an example, collecting deposits via a fintech platform would require approval from Bank Negara. What this indicates is that Bank Negara is going to regulate fintechs the same way it does banks. But exactly how, it still isn’t clear. The SC has also launched aFINity@SC, a fintech community aimed at industry engagement and more recently launched the P2P financing framework, which is aimed at addressing the funding needs of small businesses. Some recent developments in the fintech space, however, point to weaknesses in fintech companies. LendingClub, the poster boy company for P2P lending has seen its shares tumble, wiping out about a third of its market value. This came as it faces scrutiny after its founder and CEO resigned following an investigation into improper loan sales. The US Treasury has released a report criticising the P2P lending business, recommending it to be more tightly regulated. Some commentators are liking P2P lending to the early days of the subprime mortgage bubble of 2006-07. It is more likely though that the experiences of fintech in mature markets like China and the US will serve as good guides as to how this business will grow in this part of the world, with the requisite regulations put in place. And the jury is still out as to whether traditional banks here will lose significant parts of their businesses to fintech start-ups. Or as one industry observer puts it, fintech is more likely to usurp the business of the shadow banking market here, as some unserved borrowers now have the option to move away from loan sharks or “Ah Longs” and into the crowd funding or P2P platforms. But after that, banks could be next. was the World President of FIABCI International for 2005/2006 . WHY does this keep happening to house buyers in Malaysia? This incident happened two years ago in Taiping where a laid-back community of mainly retirees found the roof over their heads nearly, and in some cases, actually, blown away. The purchasers had paid the developer and had moved into their houses and lived there for 10 years. Problem was that the purchasers paid the developers in cash remittance without taking out end-financing loans. Unknown to the purchasers, the developer did not pay the developer’s bank to settle the developer’s loan vide bridging loans. The developer’s charge remained and grew into bigger indebtedness to the bank. Apparently, the developer’s bank had not been collecting payment of the loan from the developer, even as the developer was collecting the instalments of the purchase price from the purchasers, as provided in the sale & purchase agreement (S&P) schedule. Having waited for 10 years for the developer to settle his loan, the bank realised that the developer was not going to pay; that foreclosure was unavoidable. The bank had a problem. Apart from the developer’s loan having ballooned over the years because of the bank’s laxity in not insisting on the developer paying promptly, there was also political repercussion. There are a few issues here, namely, the destruction of a settled community in a pleasant location, the injustice of the S&P; the solicitousness for developers in preference to purchasers on the part of the powers that be; and the embarrassment resulting from the bank’s philanthropic ramifications. Has the bank breached the fiduciary duty of care to the purchasers as the bridging loan financier to the defaulting developer? The crux of the problem is that the Housing Ministry-prescribed S&P allows the developer to build the purchaser’s house with the instalments of the purchase price paid by the purchaser from the day the S&P is signed. On top of this, and even more seriously, the developer is allowed to borrow from the developer’s banks on the security of the purchaser’s property. Where a purchaser has paid the purchase price in full to the developer, and the developer does not pay the developer’s loan secured by the purchaser’s property, the developer’s bank may foreclose, auction off the purchaser’s property to recover the developer’s loan. The developer suffers nothing. It has received the purchase price and pocketed it. The developer borrowed from its bank and gave the purchaser’s property as security, and with foreclosure the developer’s bank recovers its loan, and so the developer owes no money to the bank. It takes no risk, suffers no loss. It is the purchaser who loses. 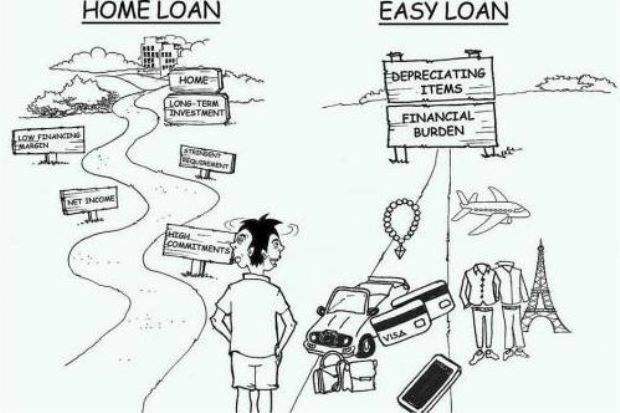 He loses his house and he has to settle the loan he took to buy the house with increasing interest on it. He is blacklisted, which means he can never borrow again. He may never buy a house again! Is this fair to the buyer who never did anything wrong to the developer or to the developer’s bank? In the Taiping housing fiasco, some of the purchasers had to buy their houses again at prices bloated by 10 years’ arrears of interest (i.e. pay the developer’s debt) to stave off foreclosure. Who is to blame for this sad state of affairs? We will consider each one in turn. The most obvious candidate is, of course, the developer. Not so. It is the Housing Ministry for providing a standard form S&P that allows this to happen. Firstly, the S&P allows the developer to borrow money from a bank with a charge on the whole housing development land before it is sub-divided and sold. This pre-sale loan is referred to in the recitals to the S&P. This is understandable as the developer needs money before sale. The result of this is that the purchaser buys an encumbered property but the purchaser is not told how much of the developer’s loan, if apportioned equally, is borne by each purchaser’s sub-divided land (the redemption sum). After sale, the developer collects money from the purchaser from the day the S&P is signed, and should be able to make use of it to meet all the expenses of the development. However, after the sub-divided land is sold, the developer keeps borrowing, and no effort is made to keep the purchaser informed about the increasing amount of the developer’s loan/ the redemption sum. The purchaser’s consent to the additional, post-sale loans is taken for granted. In fact, the purchaser cannot withhold his consent as long as the purchaser receives some fig-leaf protection from the developer’s bank in the form of an undertaking not to foreclose. What is the use to the purchaser of the developer’s bank’s undertaking not to foreclose? What the purchaser needs is the absolute undertaking by the developer and the developer’s bank that a purchaser who has paid the purchase price will not face foreclosure vis-à-vis the disclaimer(s). This would have helped the Taiping purchasers. It is, therefore, a matter between the developer’s bank and the developer, with the Housing Ministry playing the proper protective role required of it by law, to ensure that such an undertaking/ disclaimer is given by the developer’s bank to the purchaser. This and other issues arising from the S&P have been raised by HBA with the Housing Ministry which continues to procrastinate. To the developer’s bank, the loans to the developer on the security of the purchaser’s land is regarded as if it is the developer’s property entirely; it is of no concern to the developer’s bank that some of the purchasers have paid the developer and the developer may or may not have forwarded some of these payments to the developer’s bank. The developer’s bank’s concern is whether the whole loan has been settled by the developer-borrower. If not, the developer’s bank feels secure in the knowledge that the entire housing development land is available to the developer’s bank to recover its loan/s. In so far as the developer’s bank is concerned, payments made by each purchaser to the developer is of no consequence. The transaction between the bank and the developer is the one that matters. Under the then S&P, there is also no control over how much the developer should be allowed to borrow, for what purpose and by when it should be settled. Each loan to the developer increases the risks to the purchaser. 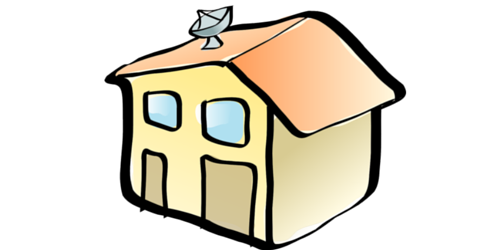 In the recent past, developer’s borrowed only for the purpose of meeting the expenses of the housing development. The developer was allowed to borrow twice only – once before sale and once after sale. Although the developer was not required to disclose the redemption sum, there was a very important safeguard. And that is, the developer had to settle the redemption sum to the developer’s bank before completion of construction so that at the end of the 24- or 36-month construction period, as the case may be, the property was free from the developer’s encumbrances and safe from foreclosure, even if the property was not transferred to the purchaser just as promptly. It was at least safe from foreclosure. Banks/financial institutions should take the initiative to recover progressively the loan it had given the developer. Banks should stipulate as a condition for giving loans to their customers (developers) that the latter open its Housing Development Account (HDA), a statutory requirement, with the same bank and require the instalments of the purchase price be paid into it, and authorise the bank to deduct the developer’s loan by instalments from the HDA so that when the purchaser completes payment, the developer’s loan is also settled. There is no such statutory requirement in the S&P so that if it happens at all, it’s serendipity! HBA had meetings with the Housing Ministry to propose changes to the law and S&P with the view of giving greater protection to purchasers within the framework of the sell-and-build (which Rehda defend so fervently) but some pertinent ones had been objected by Rehda. The next continuing article will dwell on the new “protection” or whatever in lieu thereof approved by the Attorney-General’s Chambers vis-à-vis “redemptions and disclaimers”. Chang Kim Loong is secretary-general of the National House Buyers Association: http://www.hba.org.my, a non-profit, non-governmental organisation. Public Bank Bhd, the country’s third largest bank, reported an increase of 19% in its fourth quarter net profit which stood at RM1.49bil compared to the net profit of RM1.25bil for the same period a year earlier but warns of challenges ahead. Founder and chairman Tan Sri Teh Hong Piow said expectations were for intense competition for market share. “And the more stringent capital and liquidity requirement will continue to put pressure on net interest margin and return on equity,” Teh said in a statement. The bank’s increase in its fourth quarter ended Dec 31, 2015 net profit was boosted largely by a net writeback of loan impairment allowances and higher net interest income, it said in the statement yesterday. It also announced a second interim divided of 32 sen per share for shareholders, bringing total dividends for the year to 56 sen per share or a total payout of 42.7% of the bank’s net profit last year. For the entire FY15, Public Bank’s net profit stood at RM5.06bil which translates to a net return on equity of 17.8%, against a net profit of RM4.52bil in FY14 while revenue stood at a higher RM19.18bil compared with RM16.86bil earlier. Public Bank continued to be the most efficient banking group in the country with its low cost-to-income ratio of 30.5% compared to the banking industry’s average cost-to-income ratio of 45.5%. It also continued to maintain a healthy level of capital with its common equity Tier 1 capital ratio, Tier 1 capital ratio and total capital ratio standing at 10.9%, 12.0% and 15.5% respectively as at the end of 2015, after deducting the second interim dividend, it said. In FY15, the bank grew its loans by 11.6%, aided by its retail banking segment and extension of credits to small and medium enterprises while total customer deposits saw a growth of 8.9%. Its domestic customer deposit grew by 7.5%, higher than industry’s growth of 1.8%. As at the end of 2015, the group’s impaired loan ratio was at 0.5%, significantly lower than the industry ratio of 1.6% while its loan loss coverage ratio of 120.8% as at the end of last year was also higher compared to the local banking industry’s ratio of 96.2%. Teh said growing fee-based revenue remained a key strategic focus of the Public Bank group. “Arising from the group’s initiative to drive growth of its non-interest income in order to sustain better return for its shareholders, the group’s non-interest income increased by 22.4% in 2015 as compared to 2014, mainly contributed by higher income from its unit trust business, foreign exchange related transactions and fee income from banking operations,” he said. Shares of Public Bank finished yesterday higher at RM18.38, up 4 sen.
KUALA LUMPUR: Public Bank Bhd recorded a stellar set of results, with net profit surpassing RM5bil for the financial year ended Dec 31, 2015. It rewarded shareholders by declaring a second interim dividend of 32 sen per share, bringing the full-year dividend to 56 sen. The total dividend paid and payable for 2015 amounted to RM2.16bil and represents a total payout of 42.7% of the group’s net profit for 2015. 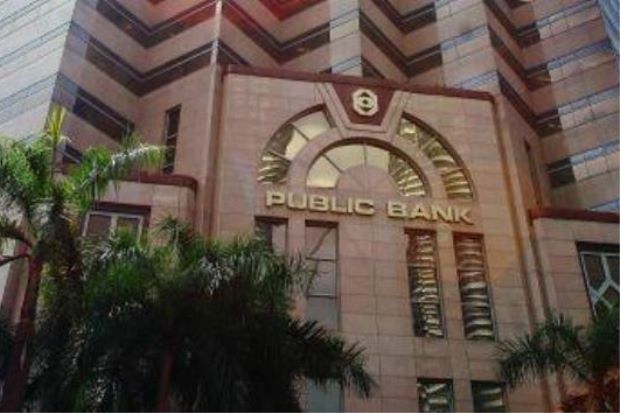 Public Bank posted a net profit of RM5.06bil, up 12% from RM4.52bil it recorded a year ago, translating to a net return on equity of 17.8% for 2015. Revenue was 13.8% higher at RM19.18bil compared with RM16.86bil in 2014. In its filing with Bursa Malaysia on Wednesday, the bank said it owed its improved earnings to higher net interest income, higher non-interest income and lower loan impairment allowances. However, these were partially offset by higher operating expenses due to higher personnel costs. Gross loans grew 11.6% to RM273.4bil driven by growth in property financing, financing of passenger vehicles and lending to SMEs. Deposits from customers were 8.9% higher to RM301.2bil, which partly contributed to the higher net interest income during the year. “The results reflected the consistent execution of the group’s organic growth strategy which continues to deliver favourable results to our customers and our shareholders,” said founder and chairman Tan Sri Teh Hong Piow in a statement. He added that the bank’s robust funding position was mainly supported by its strong retail franchise and large domestic depositor base of over five million customers who continue to place their trust and confidence in the group in safeguarding their funds. Public Bank’s impaired loan ratio improved to 0.5% as at end-December 2015. For the fourth quarter, the bank posted a 19% year-on-year gain in net profit to RM1.49bil while revenue was 8.8% higher at RM4.93bil. Moving forward, the group said it will leverage on its internal strength and capitalise on its customer service and service delivery to maintain its leading market share in the domestic retail segment, supported by steady demand for home mortgages, vehicle financing and SME lending. BEIJING: China has pledged US$50mil (RM221.25mil) to the Asian Infrastructure Investment Bank (AIIB) to support infrastructure projects in less developed countries. Launching the China-led bank here yesterday, Chinese President Xi Jinping said this proved China’s willingness to shoulder more international responsibility and “push for the perfection of the international system”. “This is a historic moment,” he added. With an authorised capital of US$100bil, AIIB was proposed as a global multilateral financial institution by Xi in 2013 to finance infrastructure development in Asia, including energy/power, transportation/telecommunications, rural infrastructure/agriculture development, and water supply/sanitation. Representatives from 57 founding members, including Malaysia, attended the ceremony at the Diaoyutai State Guesthouse. Malaysia, which holds 0.11% share and 0.36% of voting share in AIIB, was represented by Treasury deputy secretary-general Datuk Mohd Isa Hussain. The three largest shareholders of AIIB are China, India and Russia, with a 30.34%, 8.52% and 6.66% stake respectively. Each allocation is based on the size of the member country’s economy. The bank, based here, is largely seen as a rival to the US-led World Bank and Interna­tional Monetary Fund. The United States and Japan have shunned the AIIB while US allies – including Britain, France and Germany – have signed up as founding members. AIIB president Jin Liqun promised to run AIIB as an organisation that is “lean, clean and green”. “The bank will make a positive and significant difference in Asian development,” he said. Speaking on behalf of the non-regional founding members, Luxembourg Finance Minister Pierre Gramegna said the fact that the idea to form AIIB came from the east was a testament to the rebalancing of the world’s economy. “Without basic infrastructure, markets cannot function well and growth is limited. AIIB will be a boost to the Asian economy, and become a platform for cooperation that will foster economic integration and inter-regional connectivity,” he said. 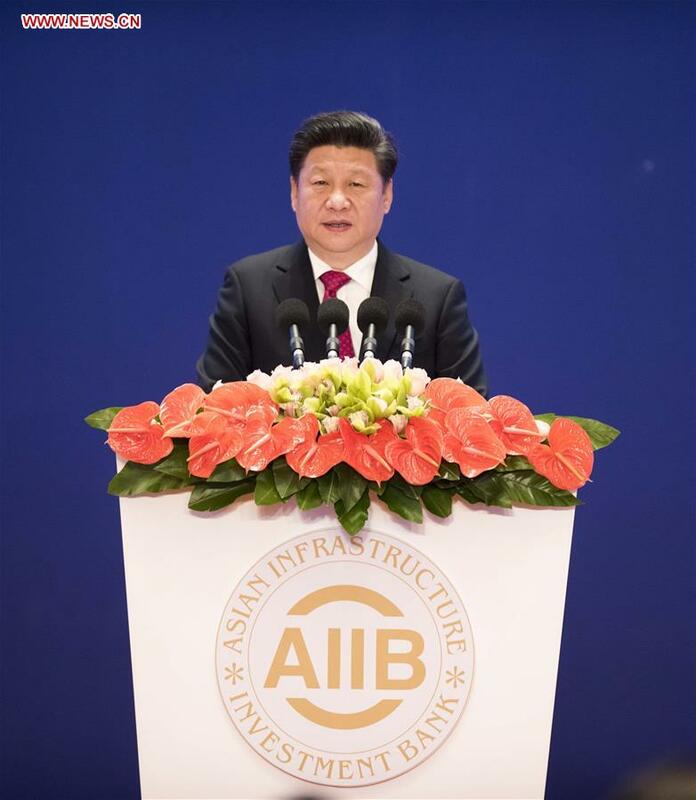 BEIJING, Jan. 16 (Xinhua) — The Asian Infrastructure Investment Bank (AIIB), a China-initiated multilateral bank, started operational on Saturday, marking a milestone in the reform of global economic governance system. Representatives of the 57 founding countries gathered in Beijing for the AIIB opening ceremony in Diaoyutai State Guesthouse. Chinese President Xi Jinping made a speech. With joint efforts of all the members, the AIIB will become “a professional, efficient and clean development bank for the 21st century” and “a new platform to help foster a community of shared future for mankind, to make new contribution to prosperity of Asia and beyond and lend new strength to improvement of global economic governance,” Xi said. During the ceremony, Chinese Finance Minister Lou Jiwei was announced to be elected as the first chairman of the AIIB board of governors. Jin Liqun was elected the first AIIB president. In addition to subscribing capital according to plan, China vowed to contribute 50 million U.S. dollars to the project preparation special fund to be established soon, to support the preparation for infrastructure development projects in less developed member states. The AIIB will promote infrastructure related investment and financing for the benefit of all sides, Xi said, keeping Asia’s enormous infrastructure development demand in mind. Statistics from the Asian Development Bank (ADB) show that between 2010 and 2020, around eight trillion U.S. dollars in investment will be needed in the Asia-Pacific region to improve infrastructure. Xi expected the China-initiated institution and other existing multilateral development banks to complement each other for mutual strength and cooperate on joint financing, knowledge sharing and capacity building. Hailing Asia “an engine” for the global economic growth, Li said the sustainable development of the Asian economy and regional economic integration rely on the infrastructure construction and connectivity, which would help facilitate the flow of trade, investment, personnel and information. The aim of China initiating the AIIB is to widen financing channels, expand general needs and improve supply so as to bring along the common development in the region and promote world economic recovery with its own achievements, he said. The premier called on the AIIB to integrate the China-proposed Belt and Road initiative with each country’s development strategies, promote international cooperation on production capacity and innovate more modes to realize a diverse and inclusive cooperation. Global leaders extended congratulations to the opening of the multilateral development bank. “The ADB will cooperate closely with AIIB in supporting the development of the Asia Pacific region,” said ADB President Takehiko Nakao in a congratulatory message to the opening of the AIIB. “We will cooperate closely to provide support and constructive suggestions for the AIIB development,” said Yoo Il-ho, deputy prime minister of the Republic of Korea at the opening ceremony. China’s Vice Finance Minister Shi Yaobin said in an interview with Xinhua that China does not intend to apply for financial support from AIIB in the initial stage. “Though as the biggest shareholder of AIIB and the biggest developing country in the world, China is fully qualified to gain loans from the AIIB, but we made the decision mainly because that many other countries in the region are in more urgent need for infrastructure development,” said Shi. Shi said China holds 30.34 percent of the whole capital stock, with the first batch of capital stock worth 1.19 billion U.S. dollars already in place. The AIIB was proposed by President Xi Jinping in October 2013. Two years later, the bank was formally established as the Articles of Agreement took effect on Dec. 25 last year. As its name suggests, the AIIB will finance construction of infrastructures — airports, mobile phone towers, railways and roads — in Asia. The Asian Infrastructure Investment Bank will be a 21st-century multilateral lender with rigorous corporate culture, says Jin Liqun.